When Google unveiled Flutter in 2015 everyone in the mobile development community beginning to weigh in and compare the Cross-Platform Development framework. "Flutter is Google’s mobile UI framework for crafting high-quality native interfaces on iOS and Android in record time," says its official site. Much to my amazement is the "Hot Reload" feature in which allow the mobile developer to the preview the UI while writing code. I am so Jealous that i was started to dig on it 5 months ago using VS Code. One more thing that i like about Flutter is a single or unified design regardless of the platform. Yes it looks so the same when you run it on both iOS and Android. This is very much fitting on UX/UI designers and for developers on how they want the app to look. They don’t make changes for each platform. The Flutters advantage over Xamarin.Forms (my perspective as Xamarin developer). Unified UI/UX design makes it perfectly fitting on how we want the app to look in all platforms. "Looks nice, I guess Xamarin is dead now." "Xamarin is dead now' " is a bold claim. Xamarin is here for years and there are a lot of Android/iOS apps written in it. Also saying Google takes on Xamarin as a competition is a stupid claim. It would be a competition if you can also write in C# like Xamarin do." Flutters uses Dart language which is fast, object-oriented language with several useful features such as mixins, generics, isolates, and optional static types. And this is the thing i don't wanna move to any Cross-Platform framework sooner because i love C#. period. Maybe if Flutter changes its main language to C# there's a big chance that i will change my mind but i doubt it. I was blown away like, d*mn this is the answer to Google's Flutter that im so excited that i envision this as the future of Xamarin Mobile development. This is the main benefit of using Shell. Xamarin is the one of oldest of all Cross-Platform frameworks, And its getting better and better. 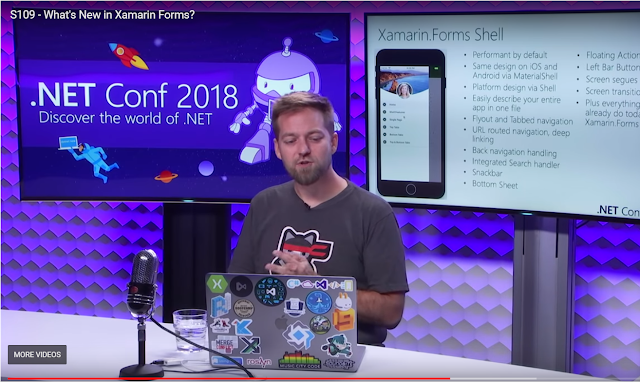 With the advent of the Xamarin.Forms Shell i am so excited i can't wait for the coming release. If you have some questions go shoot me a message here and will gladly answer your questions. If you want more and advance topic you can catch us at this facebook groups MondPH And Xamdavao. enjoy coding.